A sleek, stylish bar just off Hollywood and Vine? We're so there, and you should be, too. 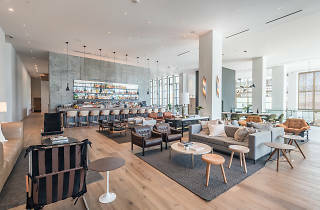 Within the Everly Hotel at Argyle and Yucca, with a view of the iconic Capitol Records building, settle in at Ever Bar for culinary and cheeky riffs on classic cocktails like the Drink Your Vegeteables, a veggie-packed take on the margarita. 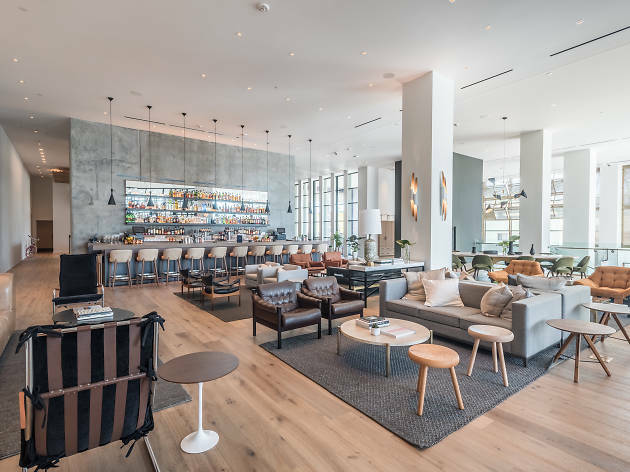 Bar Bites include some serious must-haves from the neighboring Jane Q kitchen, such as the duck confit monkey bread, all the better to fuel you for a game of pool or simply lounging around that gorgeous lobby.